"I wanted to do something special for Coach Kay Yow because she is the face of hope, strength and perseverance to so many people. With her permission I have designed and made personal inspiration products that everyone can purchase for friends and family. My mother is a cancer survivor and was the first person to show me what true perseverance looks like. Everyone at PH Enterprises, Inc. is grateful to my mother and Coach Kay that through faith they show us how to live." 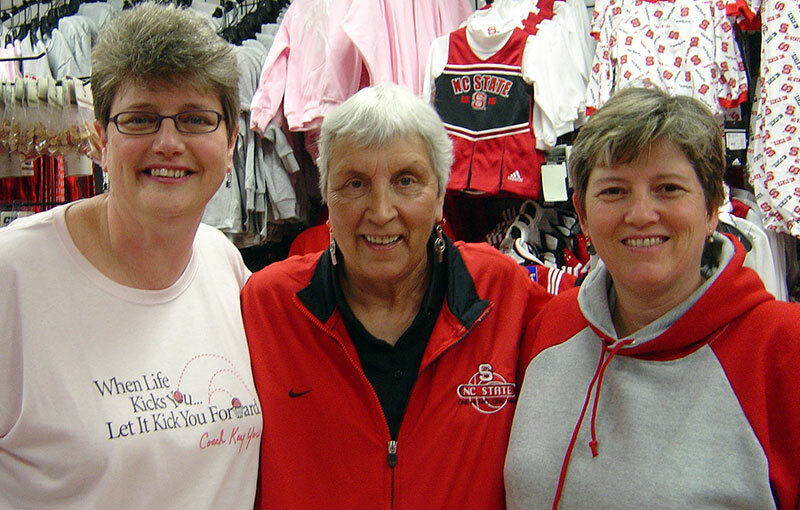 In special memory of Coach Kay Yow, 1942 to 2009. We will never forget all you taught us! 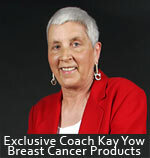 A Portion Of The Proceeds From The Sale Of These Items Goes To The Kay Yow/ WBCA Cancer Fund.